EARN $20,000 a weekend teaching what you love! Being on stage creates massive leverage for your business, whether it be in a board room or an event. Your ability to present and share your knowledge is a powerful skill that will make you significant money! Quantum Trainer has been specifically designed to get you away from 1-on-1 to working 1-on-many in your business, to leverage your time and expertise from the stage and to make you hundreds of thousands of dollars, if not millions per year. This is a course for serious trainers, coaches, consultants and speakers to be trained. I’m a firm believer that everyone should have a mentor no matter what position you are in. There’s always something new you can learn. Learn how to become an expert and at peace with being on stage, and present yourself and message authentically while making a difference and a lot of money doing it! How to create a funnel (system) of programs for your business from beginning to end. How to fill a room with qualified buyers. This took us years to get right and we will share our powerful secrets & strategies! A step-by-step process for creating presentations that achieve massive financial results. How to lead, teach, engage and inspire an audience. How to create programs that have you earning up to $20,000 per weekend or more! How to sell from the stage using your sacred gifts and being totally REAL! This process will be tailored to your style and personality. How to make a six-figure income from the stage within the next 12 months. How to get onto other people’s stages and plug into Colin’s world-class contacts! Plus, we will share with you all our master templates that will allow you to prepare, pack and run events seamlessly and maximize your sales revenues! These have cost hundreds of thousands to develop…you get all of them! 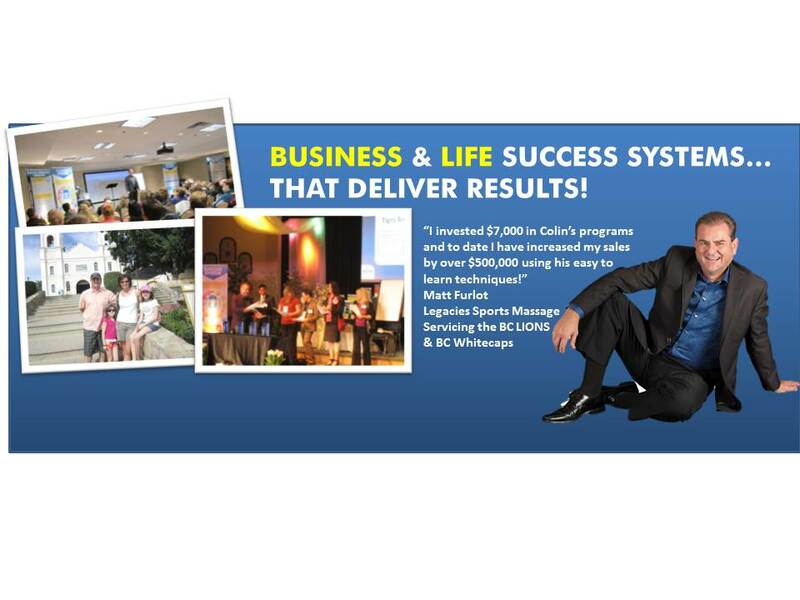 Simply, you will walk out with your entire multi-million dollar business fully created!